The OG13 King of the Hammers racer is always trying to extend the boundaries for this style of vehicle first with Hill Climb racing including the Pikes Peak International Hill Climb and now with the NORRA Mexican 1000 in Baja, Mexico. JT Taylor #13 will be running in a brand new class called the Evolution 4×4 Class. In 2012 JT Taylor was the driver and co-driver in the #11 Elf Dirt Sports Car taking 2nd in class, and last year he co-drove for the 1982 Raceco Car with Marty Fiolka where they placed 1st in class. 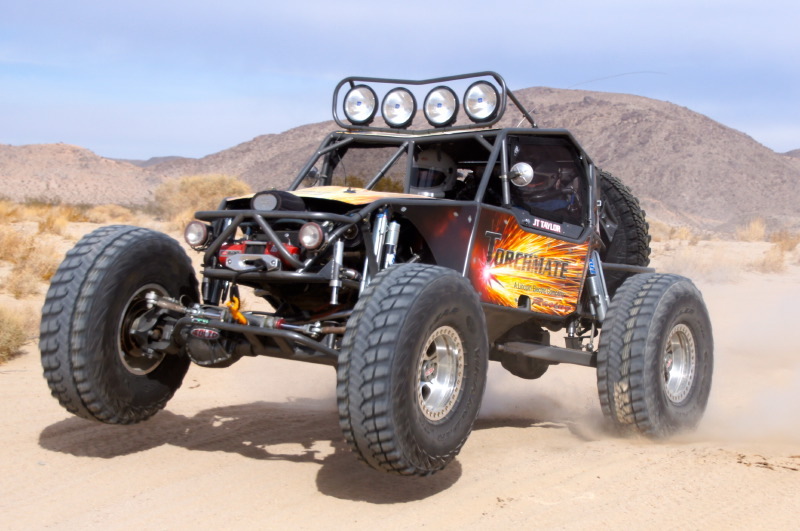 The 2012 General Tire NORRA Mexican 1000 is a four day, four stage race. “My favorite part of the race is getting to see all the vintage cars and the legends each night at the end of the day. I love to just sit there and listen to all their cool stories of past and present racing,” said JT Taylor. Sunday April 29th they will start in Mexicali and go to Bahia de Los Angeles. Day 2 they will continue to Loreto. Day 3, May 1st, racing continues down the coast to La Paz with the final Day 4 taking them to the tip of Baja at San Jose del Cabo to the finish celebration. About JT Taylor: JT Taylor is the epitome of “been there, done that”. A retired First Sergeant who returned from the Iraq conflict with a Bronze Star, Taylor uses the skills that he honed as a soldier to manage multiple racing teams needs. His strategic and mechanical capabilities have served him Crew Chief positions with Brad Lovell, Speed Technologies, Shannon Campbell, Dirt Sports and Lucas Oil Off Road Racing Series SuperLite #16 race teams. He was the Crew Chief for Speed Technologies 2008 Class 1 Baja 1000 win, 2009 Baja 500 Torchmate Racing finish, and co-drove and was crew for the 2009 Baja 1000 and the 2010 and 2011 NORRA 1000 win. It would be foolish to think that Taylor is only handy with a wrench, he is just as comfortable behind the wheel. 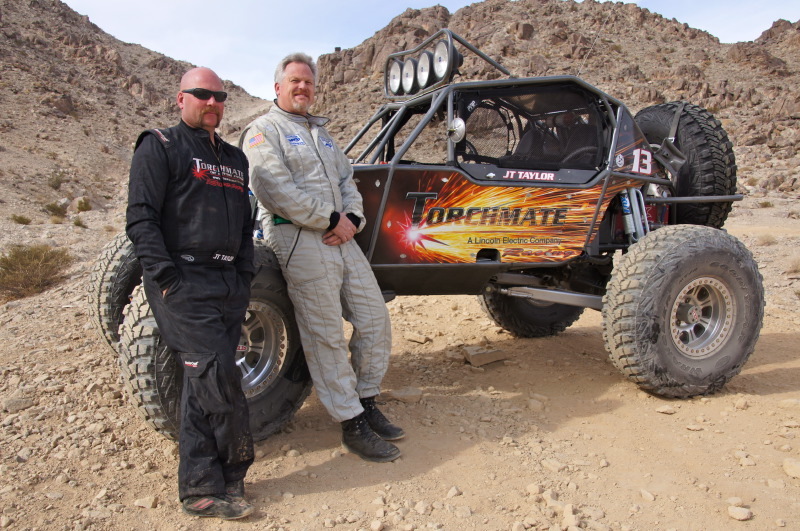 JT Taylor is one of the original thirteen competitors of King of the Hammers who has raced every year, winning the 2011 Torchmate Stampede and placing 2ndat the Ultra4 Grand Prix. Taylor consistently held a top ten position in XORRA for five years and is the two-year reigning champion of the XORRA Germany Series. He is the 3 time Colorado Hill Climb Association Ultra4 Champion and made history as the first Ultra4 competitor to run Pikes Peak, where he won the Exhibition class in 2010 and was 2nd in the Pikes Peak Open Class in 2011. JT Taylor is the person you want on your team.